From the trip blog: "The Global Trip: The Central American Eviction Tour"
DAYS 28-32 (PART 1): This trip has been dubbed “The Central American Eviction Tour,” but there really should be a starburst icon next to it saying, “NOW WITH JAUNT TO BOGOTA, COLOMBIA!” for that’s where my travels took me next. Originally I was to rendezvous with my Colombian-born friend/co-worker Monica, as she had planned to bring her new daughter Valentina home for the holidays so that her father, who couldn’t be there for the birth in the New York, could bask in the glory of grandfatherhood. We had been planning a Christmas rendezvous since the summer, and it was all set — I even booked my ticket before her. However, at the last minute, Monica regretfully backed out for financial reasons (but not without extending her family’s hospitality, which would come in time). “That’s typical Monica,” her friend Claudia said in a later conversation. Monica’s college friend spoke of other examples of this predicament happening, like the time Monica had invited all her Colombian friends to come to New York — only to have to go away the week everyone planned to visit. 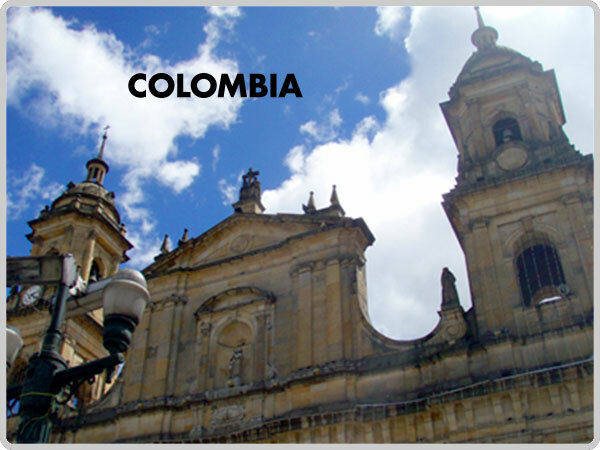 DAYS 28-32 (PART 2): The Colombian capital city of Bogota is like two cities in one: the classic, colonial area to the south, and the modern, commercial and residential area to the north. It was in the former that Steph and I had decided to base ourselves, to do the tourist sightseeing thing before crashing at Monica’s brother’s apartment in the residential north to see what “real” Bogota life is like, outside of the tourism bubble. DAYS 28-32 (PART 3): Every Bogotan (or is it Bogotian?) that Steph and I knew had wondered why we had chosen to stay in the grimier neighborhood of La Candelaria for our initial stay in the Colombian capital. They didn’t know that it’s because it’s where most of the Lonely Planet guidebook-toting tourists were led to by “the book,” as its authors chose it as a place to be for its museums and colonial architecture. But just like you, the reader, seldomly going to touristy neighborhoods wherever you live, you wouldn’t really see the appeal. “Most of the people live in the north,” Monica had told me, explaining how the northern part of town was the modernized residential and commericial area, the real heart and soul of the city — that was even perhaps a bit safer. (It was evident immediately on our first time driving through, when Steph and I marveled at families walking out on the streets at night.) The north was where her family and friends lived, and most people of the college-educated class, including Camillo, the Colombian animation producer from Vancouver that Steph had befriended on the flight from Houston. DAYS 28-32 (PART 4): Ask any Bogotan for a recommendation of where to go, and there’s no doubt that the phrase, “Andrés Carne de Res” will be mentioned with lots of encouragment and enthusiasm. “What is it?” I asked Monica once. Once I had gotten there, I knew exactly what she meant. DAYS 33-34: I was going to title this entry “Christmas in Bogota,” just like I had titled my 2003 Christmas entry, “Christmas in Cusco” (Peru), but with my affinity for alliterations, I’ve chosen “Christmas in Colombia,” because it has a nice ring to it. Besides, I didn’t have Christmas in the city of Bogota anyway, but in its suburbs (the name of the town escapes me) where, at Monica’s relatives’ house, I spent the holidays with my Colombian hosts’ extended family. DAY 35: I had one day left in Bogota between Christmas Day and my departure date for Panama, and it was slated to be a day to catch up, repack, and recompose myself from a week of settling down in one place — all before getting back on the road again, like Willie Nelson. That morning, instead of watching the TNT Latin America continuous loop of Spiderman 2 and Lord of the Rings: The Two Towers (both dubbed in Spanish), I set off to run errands with Victor Hugo. He brought me to a laundromat for me to get my clothes cleaned, and after lunch with his parents, I was off to two malls with Hugo and Gloria — the first of which I went to a barber and got a much-needed haircut. Other than the moment I watched a couple of guys try to play Guitar Hero III on a demonstration XBox 360 (they sucked), the mall, as always, was a sort of generic experience like anywhere in the world (not that I minded). However, this time it would soon involve a small caper.